5-Port Industrial 10/100 Mbps Ethernet Switch (Robust Version). Supports Operating Temperature -40°C ~ +85°C (-40F ~ 185F). 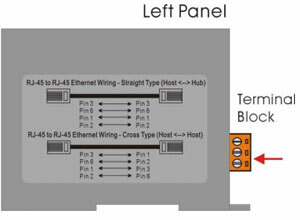 5-Port Industrial 10/100 Mbps Unmanaged Ethernet Switch, DIN-Rail mount, manufactured with MIL-SPEC conformal coating. Conformal coating will allow operating temperature range to be increased to -40ºC~85ºC. 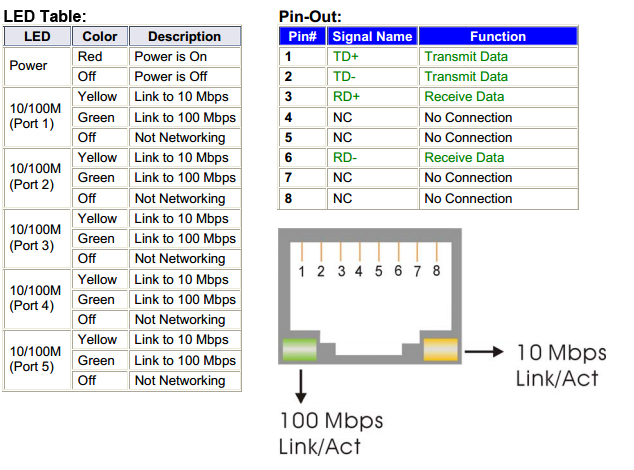 Integrated look-up engine with dedicated 1024 unicast MAC addresses. Power consumption: 0.1A@24VDC, ± 5% arrowed with 10M Full duplex.